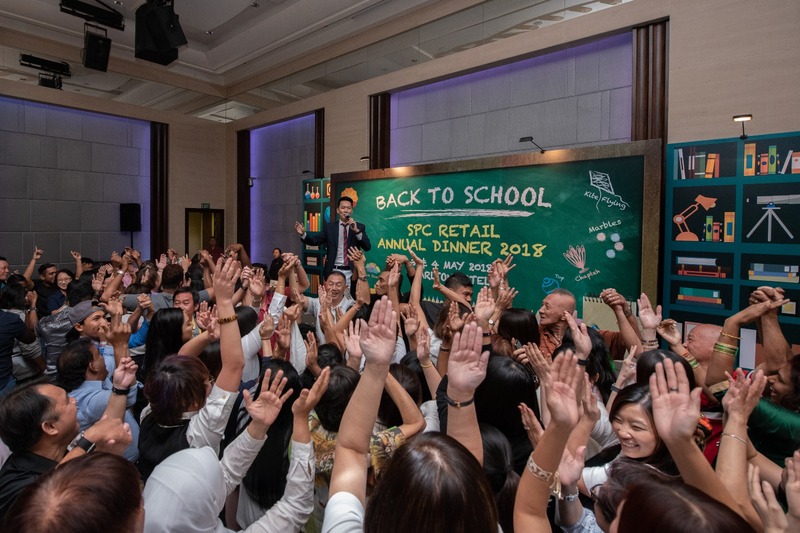 Its “Back To School” and back to the Empress Ballroom at Carlton hotel for SPC’s second night of Dinner and Dance. I changed things up a bit by putting on a varsity jacket and moved away from the School Prefect look. From time to time, I will come up with new games and I had the chance that night to try out my new game. At this present moment, its called “Button game”. And yes, I need to work on a new name for that game. Backing me that night was DJ Chong Der again. Thank you SPC for being such a wonderful and appreciative crowd. Hope to see all of you next time! 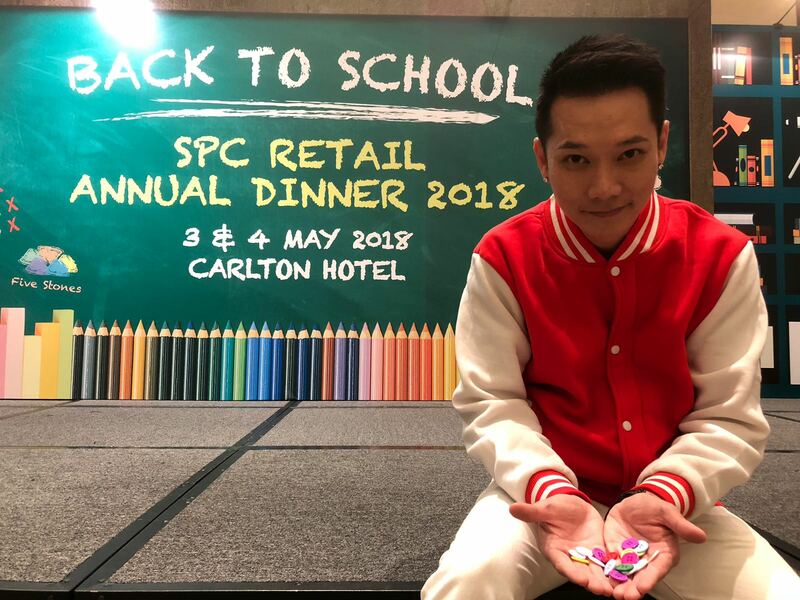 If you would like to have Sherman Tang emcee your upcoming event, please contact your preferred Events Company for more details. In the mean time, please check out his promo videos below. I had the pleasure of hosting SPC’s Dinner and Dance for 2 nights in a row and this post is for the 1st night. 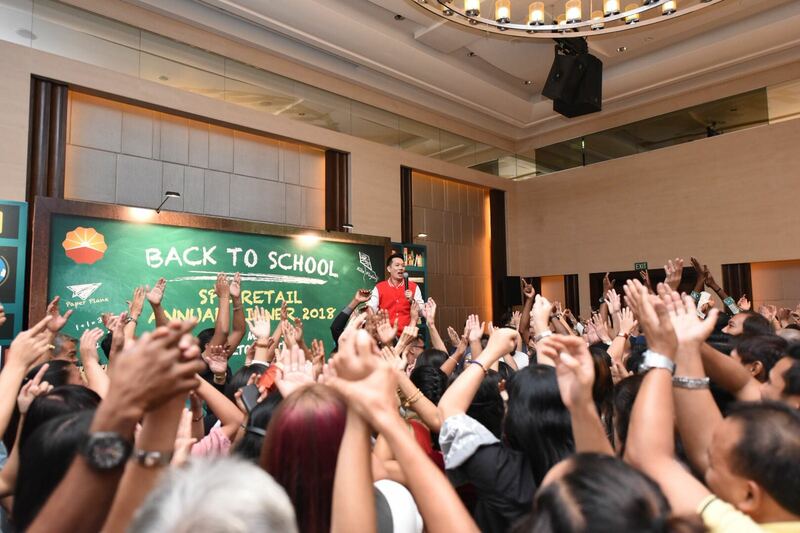 400 pax of fun loving people from SPC gathered at the Carlton Hotel Empress Ballroom. 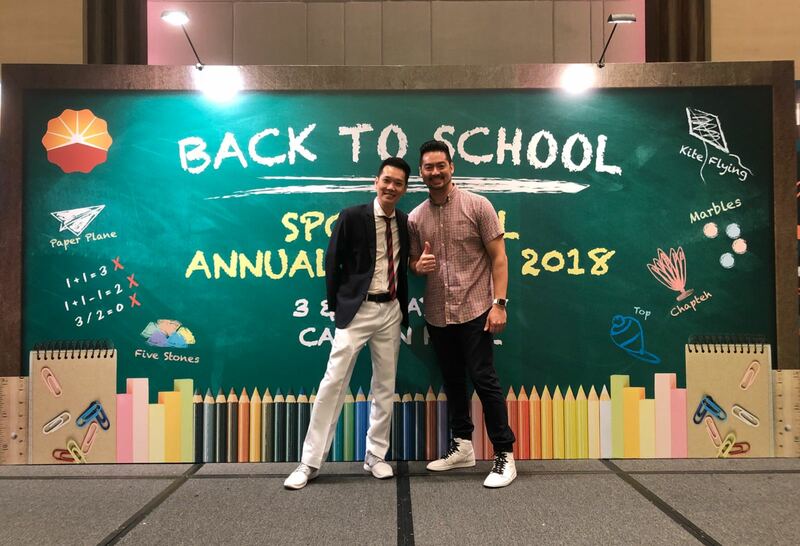 The theme was “Back To School” and yours truly dressed up as a “School Prefect” to blend into the crowd. Backing me that night was DJ Chong Der who did an amazing job especially the mass audience participation. Check out the pictures below. I will be posting night 2 very soon! 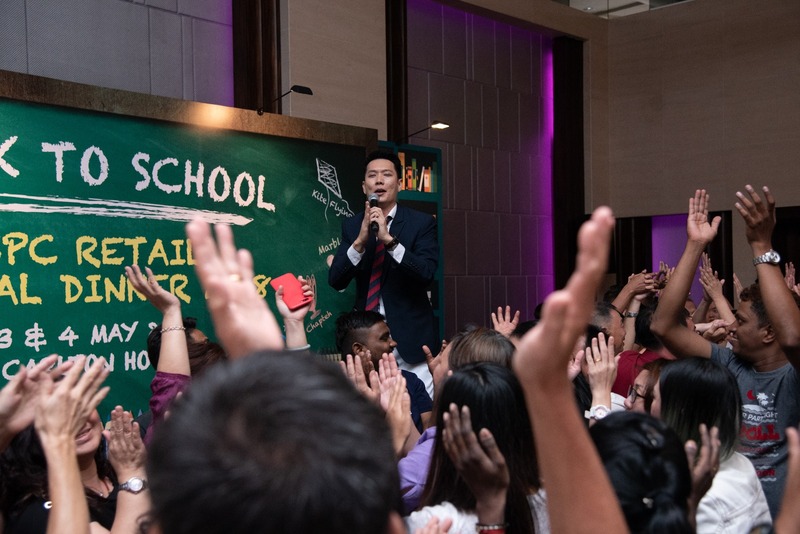 If you would like to engage Sherman Tang for your upcoming event, please contact your preferred events organisers.